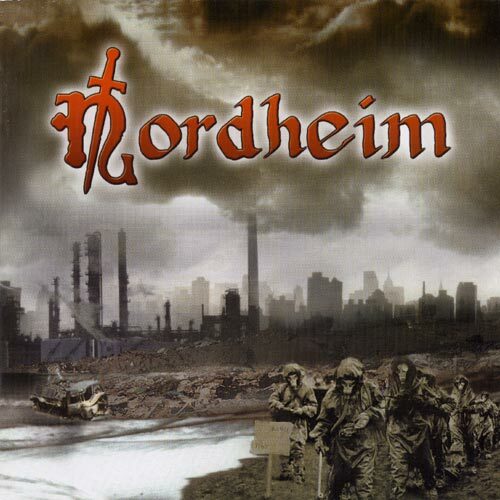 The Nordheim band was established in 1995 middle, with the initiative of three friends: Helio Oliva (vocal), Gustavo Harrass (alone guitar) and Fábio (alone guitar). After some months of search and hearings, line-up if complete with the addition of Robert Sans (low) and Fabiano (battery). The initial formation then was stabilized counting only on these musicians, who if integrally dedicated to the spirit of the Heavy traditional and oitentista Metal, being directly influenced for classics as IRON MAIDEN and Judas Priest, passing for the raízes of the heavy music of Black Sabbath and Deep Purple, and still adding the noises most recent of the Doom, Thrash and Death Metal. This was the formation of the Nordheim for about one year, with the eventual exit of Fabio and the entrance of Eduardo Fernandez to assume the rank of according to guitarist. For 1997 return the band entered for the scene Metal of Rio De Janeiro, with its first show in the most traditional space for events of music weighed in Rio De Janeiro (the Garage), causing a true impact between headbangers local: at a time where almost the totality of the Carioca bands bet in a sound proposal much more melódica, the Nordheim did not open hand to make a furious Metal fast e, having then conquered innumerable fans in its presentations. 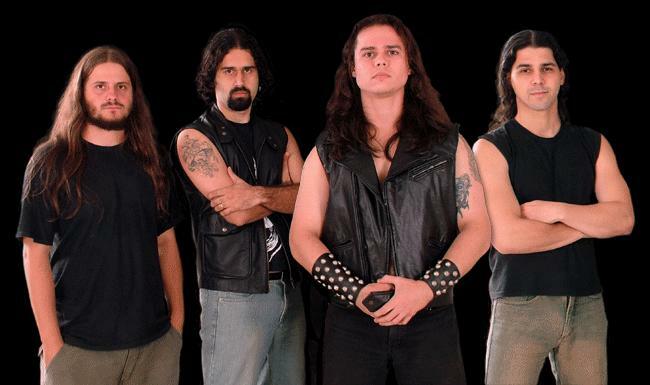 In 1998 the Nordheim already enjoyed of certain status in the Carioca Metallic scene. But in this exactly year, the band loses two of its components (Fabiano and Eduardo Fernandez) and one more time starts the hearings to substitute them. At this time already she counted on eight musics, and much will to show to the world that the Brazilians also know to make music weighed with much quality and professionalism. Finally in 1999 middle, now also with Davis Ramay in the guitars and Thiago Perrel in the keyboards, the band obtains to reorganize itself and returns to the Carioca circuit of shows in great style. In the year of 2000, they more than make a show for three hundred people in then the RockNight (old Garage) that it counts on participation special of Renato Tribuzy (Thoten), Luiz Enrique (Sigma V), Ilton Nogueira (Allegro) and Luiz Siren (Alantis and The Trooper), locking up the year of 2000 its agenda of shows with a presentation for more than five hundred people in the Mountain Tennis Club, that also counted on the Crusader bands and Bruce Dickinson Cover. In the end of this exactly year the Nordheim gives to beginning the writing of its COMPACT DISC demon, that takes the name of “River of Death” that has the production in charge of Renato Tribuzy (Thoten) and is co-produced by the proper band. In the 2001 end the band gave beginning to the writings of what it would be its first album, intitled “… and the RAW metal to power” with the production of Sidney Sohn and already at this time she joins forces to a new stamp that comes appearing with great force and expression in the Heavy scene Metal of Rio De Janeiro, the Marquee Records.